One of my goals for 2018 was to re-commit to my blog and content creation; to get re-acquainted with that I fell in love with about blogging in the first place. 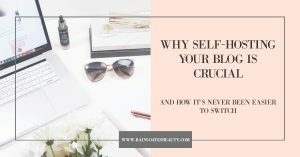 While I definitely found my spark again, I found myself experiencing a bit of a disconnect; because the vision of what I wanted my blog to look like just didn’t match up with what I was capable of setting up myself. Self-hosting was something I had heard of but really knew nothing about. To be honest, I found the whole thing confusing and intimidating. 1) Hosting through a free website like Blogger, WordPress.com, Tumblr, etc. where they do all the hosting and set up for you. I think of this like renting an apartment, or living with a friend – you can call it home but you don’t own it. You are limited to what you can and can’t do, and technically can be kicked out at any time. This is a great option for beginners and those just wanting a simple hobby-type blog, because the site you choose essentially does the work for you. You sign up, choose your theme, your name, and are ready to start blogging. You do have options to purchase your domain and upgrade to premium packages that give you more control and freedom (such as adding custom coding/html, monetizing your site, etc). There will likely be ads from the free hosted site (for example, when using WordPress.com there will be WordPress logos and ads on your site unless you upgrade to a paid plan.) However, in order to access any of these features, you may end up having to pay quite a bit extra to upgrade. It can also be limiting in terms of monetizing your blog. Google Adsense, for example, typically will not work with free-hosted WordPress.com blogs. While this is definitely not a deal-breaker for most, for those trying to build their blog into a business this definitely be a problem. 2) Self-hosting is having a blog that resides on your own server, usually done through a hosting account with companies like SiteGround. To self-host on WordPress (otherwise known as WordPress.org) is kind of like owning your own place – you’re buying a “home” on the internet. You have control over your site, how it’s set up, the design, coding, and more. You are free to download plug ins, which are amazing (usually free) add-ons for all sorts of features that can help your site! While the initial set up can seem daunting, you can find great guides on how to set up a self-hosted blog easily. Blogger 2 WP is a company that has a step-by-step guide, or they offer technicians who can do this for you for a very affordable price. Since I originally had a free hosted blog on WordPress.com, I was scared to mess up my site by trying to switch to self-hosting on my own. I’m so happy I found Blogger 2 WP, as they were able to quickly and painlessly transfer everything over for me! I highly recommend them! Stay tuned for a full review of this coming soon! Free hosting – will be cheaper initially as you can start a blog completely for free. However, if you’re wanting your blog to become your business with monetizing, advertising, owning your own domain name (the .com instead of wordpress.com for example) you will be very limited with free hosting. You will have to upgrade to paid/premium packages in order to take the hosting ads off your site, access monetization, editing html, using plug-ins, etc. can cost approximately $5 per month to $25 per month. As you can see, the Personal plan is very limiting. 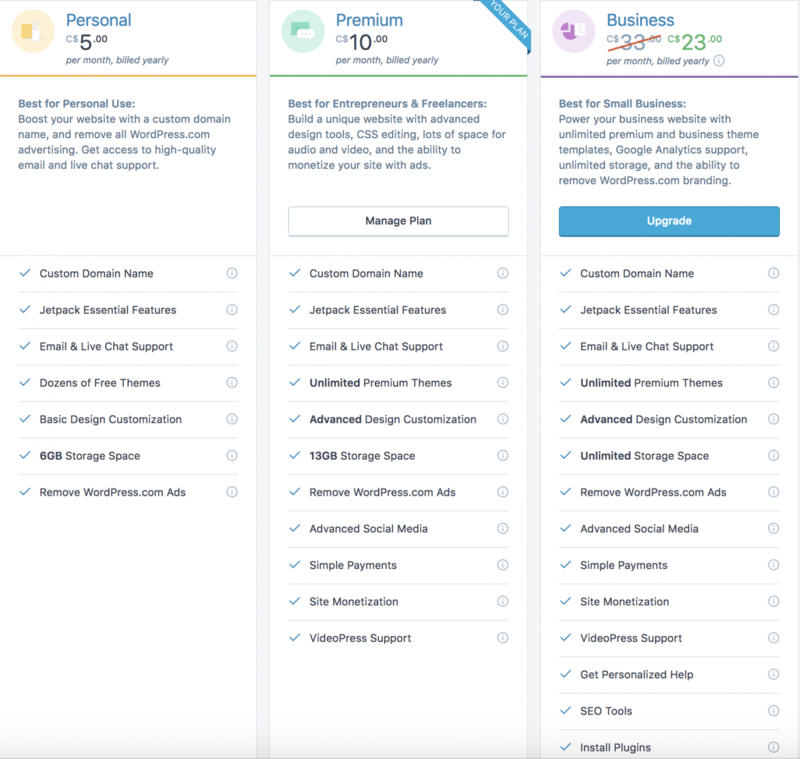 Upgrading to the Business plan (which basically has all the features you can get when you self-host) will cost you approximately $276 per year. Self-Hosting – when self-hosting, you have 2 main expenses: your domain, and your hosting. Purchasing your domain – this is where you purchase the site address. You can purchase your domain for as little as $8.99 a year with iDotz.Net for example! Hosting – There are many companies that offer web hosting – I personally use SiteGround, and absolutely recommend them. I like SiteGround because they’re fast, secure, and offer great support. Their basic plans start at as little as $3.95 per month, which is less than $5o a year. 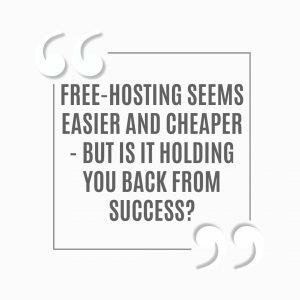 Self-hosting can be as cheap as $58 a year – which is the equivalent of getting 6 lattes from Starbucks. Compared to the $276 a year to access the same features, it’s pretty clear which is the more financially wise decision. Ultimately, the decision is yours! Do your research, and see what will fit your needs the best. Blogging can be an extremely successful business – what may start as a hobby could become your full-time dream career! 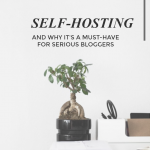 For this reason, I definitely recommend self-hosting your blog. I wish I had done that from the beginning! 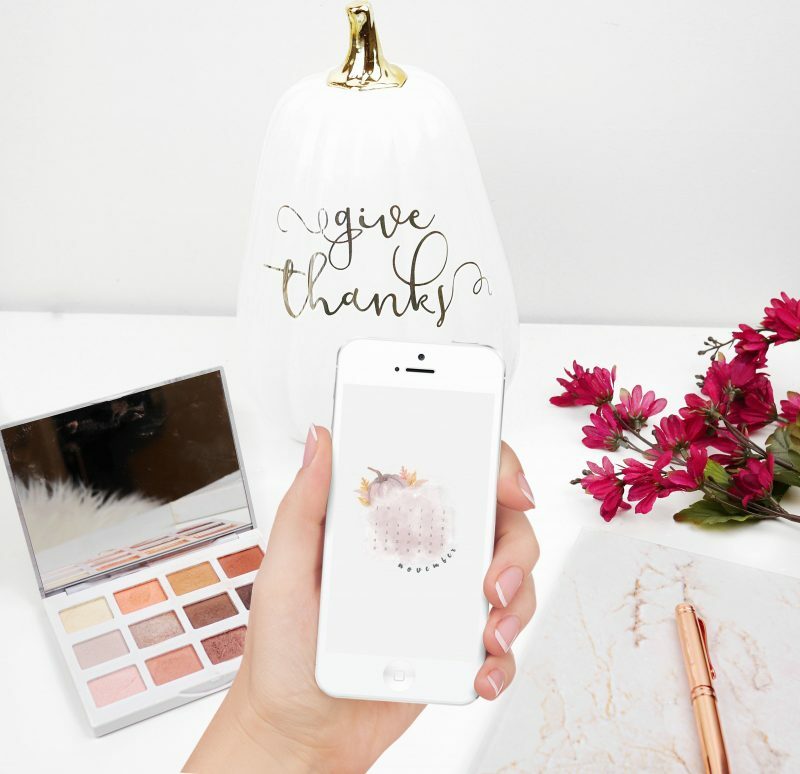 Makeup Declutter – Makeup I’m Throwing Out! 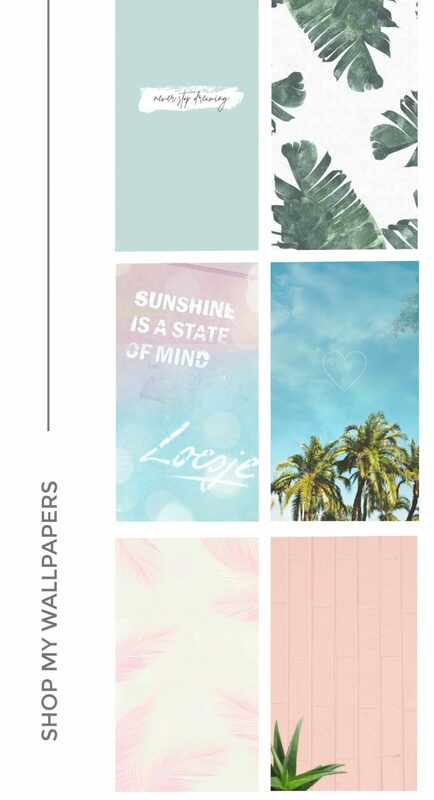 Next Post July Phone & Computer Wallpapers – Free Download!